I tried to start a book club, but I haven't gotten any responses for our post-reading discussion. I'm a little confused after such a strong positive response to my poll about whether readers wanted to participate. I'll just assume you're all contemplating your brilliant responses to our book of the month! There were new weekly entries for the 52 Teachers, 52 Lessons community project (you can find it every Monday) and Five for Friday (hopefully you can figure out when that one is). Become a Follower (click Follow on the sidebar). Share links on your blog. Click the Share button below to add posts you like to your favorite social bookmarking site. 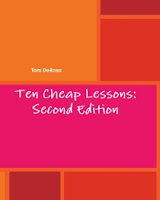 Pick up a copy of my book, Ten Cheap Lessons: Easy, Engaging Ideas for Every Secondary Classroom, for $12 paperback/$6 digital. Thank you, as always, for participating! No One Has Submitted for Monday's 52 Teachers, 52 Lessons! That's right: no one has written in to follow up this week's submission, so we are in danger of having no Week 26, not to mention the remaining half of the year after that! So there's no time to lose--if you've been dillydallying, pussyfooting, or otherwise avoiding the lesson you were born to write, now is the time to get down to business. Read more about the project and what we're trying to accomplish, then email me at teachforever AT gmail DOT com! I hope you have been enjoying Hope and Despair in the American City: Why There Are No Bad Schools in Raleigh , the first selection for our nascent book club. I asked readers to try to finish up by today, and instead of hogging the spotlight with my thoughts, I want to immediately open up the floor instead. Your initial reactions to the book overall, or something that jumped out at you (share in the comments below). Questions you'd like to ask the rest of the readers (share in the comments). Some other creative response or discussion topic you'd like to start (email me). If you write about the book on your own blog, please share the link below and circle your readers back to here, so we can bring everyone into the discussion. EXPO, the eponymous makers of everything dry erase, recently launched a contest to recognize an amazing teacher AND give them some much-needed financial support: the EXPO Extraordinary Educator contest! All that's needed is a 150-word essay about a teacher that deserves to be recognized for their hard work and achievements. Anyone can nominate a teacher--student, educator, parent, or whomever! You do need to get the permission of the educator you're nominating, but you'll still be able to surprise them with your desire to honor them! 1 Grand Prize: $5000, $1000 worth of EXPO supplies for their school, and a visit to an NBC late night show in New York or L.A.! 12 Semi-Finalists: $500 and $1000 worth of EXPO supplies for their school! The nomination form, rules and everything else you need to know is on the EXPO Extraordinary Educator website. Good luck!! Leveled Library - This new resource allows you to quickly look up the reading level of books (their lists are based on what's available at Amazon.com ). It's still in beta, and requires free registration, but it's worth a look for anyone building a classroom library. Top 3 Student College Review Websites [@Connect With Your Teens Through Pop Culture and Technology] - A perfect primer for those of us preparing for high school students in the fall! How to Steal Jobs From Teenagers [via Consumerist] - In case you need some extra cash to make it through until September. As always, share your thoughts and links in the comments. This is part two of a special week-long series called Big Idea Week, ideas that I hope will become realities one day soon. The lesson plans aren't very good in terms of quality or quantity. They're not free to access. The fact of the matter is this: there is no free, comprehensive, high quality teacher resource database on the Internet. There are too many cooks in the kitchen, and so no single site is even close to being the one-stop shop they aspire to be. The first part of the problem is that too many people want to create their own proprietary database, which limits the scope of their content to whatever is uploaded by members or developed themselves. This leads to many individuals and companies charging for access, which doesn't really work: teachers, not school districts, are the ones searching for lesson ideas, and most aren't going to pay for anything online. I've found that more often than not, the best lesson plans, projects and related ideas are rarely on any sort of "lesson plan website," free or not. They can be found in all the corners of the web: blogs, individual teacher websites, non-profit organization websites, YouTube, and often on sites not directly related to education at all. It's sometimes difficult to find lesson ideas when using any search engine; it requires a lot of patience and knowledge of keywords, operators and so forth. The ultimate lesson plan website would be part search engine and part database. It would be a metasearch engine, surveying a long list of known education sites at the same time. The database part would allow educators to upload materials not available anywhere else, without the need for them to create their own site. The interface would be simple, Google-esque even, with advanced search options available. That part would be rather easy, but to make it work better than what already exists, you would need to employ people to, fine tune the search engine and write reviews and descriptions of the uploaded content. Content would be classified by keywords, subject, grade level, and what part of the lesson was included (i.e. complete lesson, lesson idea, game, study guide, project, extension, handout, lab, etc). This would provide a consistent level of quality control and make search results more meaningful and useful. Most importantly, it would be completely free to submit content and free to search and access everything as well. That means all of the pay-for-access lesson plan websites would be out of luck. The website would get revenue from relevant advertisements, Google AdSense, affiliate sales and preferably grants and other charitable donations. Why this doesn't exist already? Honestly, I'm not sure. This seems to me a glaring need, and I'm surprised that a research university hasn't invested their time and effort in this, since so many seem to be invested in helping improve education. I think they would be in the best position to have the resources and the knowledgeable people to get this idea off the ground. There are individuals and corporations that are certainly trying, but as usual, it seems most are just out to profit from school districts too willing to spend money on the next big thing (or whatever a neighboring district is spending their money on). Stop by later today for Big Idea #3! This is part one of a special week-long series called Big Idea Week, ideas that I hope will become realities one day soon. My first idea is perhaps the most ambitious and difficult to get off the ground, but is probably also the most important and necessary of everything I will discuss this week. America needs an educational reality TV show that makes mathematics easy, accessible and fun for everyone. The biggest hurdle this country faces in terms of mathematics education is not one of standards, curricula or ability. Our central problem is cultural: America hates math. No subject elicits such near-universal fear, anger and disdain as mathematics does, regardless of the particular focus. The many stakeholders in our educational system are constantly working to overcome this from the inside out: professional development, curriculum writing, technology and innovative student support systems improve with each passing year. Yet all of these positive changes are part of an uphill battle. We have to change the way people think about math. That's where the show comes in. There are entire cable channels devoted to history, science, and even literature. More directly, these subjects provide the source material for nearly everything else out there. There is no Math Channel; the CBS crime procedural Numb3rs stands alone as the shining example of accessible math in pop culture. Sure, there is educational children's programming that teaches math, but those shows are designed for and reach only their intended audience. What's needed is a fun, interesting show aimed at an older audience that just happens to teach and engage you in mathematics. What would this show look like? I think the ideal show would take the best elements of children's shows like Mr. Wizard, Beakman's World and Bill Nye The Science Guy and combine them with the wider-reaching appeal of Discovery Channel hits like Mythbusters and Dirty Jobs. It would show math in the real world, in a way that was relevant and interesting to the broadest range of people possible. It could show all of the people who use math every day who never knew they were going to need it beforehand, as well as the math behind the science that's already explored in so many programs. There would be wild experiments and feats of mathematical intrigue, and explorations into the fascinating areas of the subject that we rarely get to talk about in school (like discrete math). Each episode of the show would be supplemented with teacher resources (lesson plans, projects, experiments) that would be freely available online, part of an interactive website that would help build a community to perpetuate the growth and reach of the show's goal of universal math acceptance. I believe that if done correctly, this could be the first of many shows about math, perhaps one day leading to a Math Channel. What I'm proposing is nothing short of the first step in a paradigm shift in the way math is thought about. It will make everything else we're trying to do in this country to improve education that much easier. I'm honestly a little surprised that we haven't seen this kind of show on the Discovery Channel, since they seem to have an amazing ability to find the most fascinating things in the world around us, but perhaps it's just because no one has come along with the right proposal yet. TV executives, hear me: we need this show not because it will teach math, but because it will fundamentally change the way we think about it. That's the kind of impact any show, any network would kill for. Come back tomorrow for the next post of Big Idea Week! 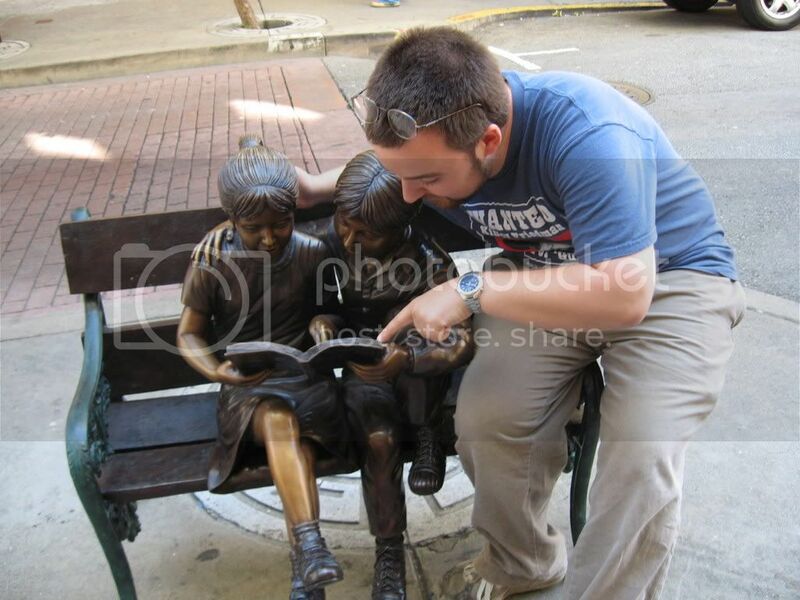 This week's advices comes from Jovan Miles, a middle school math teacher in Atlanta, GA. His blog is JovanMiles.net. I’ve been teaching middle grades mathematics for four years and one of the greatest and longest lasting lessons I’ve learned is to rely on the collective knowledge of others to make me a better teacher. Arguing, disagreeing, and bitterly coming to a consensus (or not) with my colleagues has resulted in the creation of some of the most engaging, innovative, and hands on lessons of my career. I began my teaching career, like many of us, in isolation. I planned alone, assessed alone, and the only people to ever see the results of my work were my students and administrators. 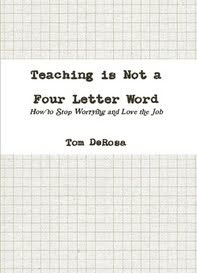 As long as I got passing scores on my annual evaluations and my students passed the requisite standardized tests I thought everything was fine. I worked like this for the entire first year of my career. However, during my second year I began working with another teacher who shared my pedagogical style. Even so, our collaboration simply amounted to informal conversations in the hall away about what the other was doing to ensure that we kept the same pace while moving through the content. We each did well separately, as did our students, but we could have all performed at a much higher level. Collaborative planning was a new idea during my first years of teaching and it took the efforts of a young, new Principal to break my colleagues and me out of our comfort zones. She forced us to plan our lessons, assessments, and performance tasks collaboratively. What we initially perceived as an encroachment on the autonomy to use our planning time as we saw fit turned into raucous mid-day meetings where arguing over content, delivery, student practice, homework, and assessment tools resulted in better lessons than any of us could have created in isolation. We were better together than we ever were separately. We saw gains in student achievement and interest almost immediately. We lightened our individual work load by working together. We became our own professional development. We began sharing articles, blog posts, and other tangible resources in the building. As our individual knowledge base grew, so too, did the knowledge of the group. Many of us have left that school and moved on to other opportunities in education. However, all of us from those original forced collaborative planning sessions still stay in touch; we still share what we know; we’re still helping to make one another better. Read more about this project here or add the 52 teachers 52 lessons tag to your favorites. Email your entries to teachforeverATgmailDOTcom. Week 25 is scheduled for next Monday, July 20th. I am a bit of a dreamer, and I have a lot of ideas that I believe could impact classrooms across the planet on a scale that I can only imagine at this point. These are the kinds of ideas that are entirely possible, but that I don't yet have the resources to pull off. I'm also aware that some of what I'll be proposing may already exist in some form or another, but I'm working from the assumption that no one has gotten it quite right yet. 52 Teachers, 52 Lessons Community Project: Your Entries Wanted! The 52 Teachers, 52 Lessons community project is still going strong, but there's still half a year left to fill! Email your entry to teachforeverATgmailDOTcom. Study: Bigger Class Sizes = Less Motivated Students [via Larry Ferlazzo's Websites of the Day] - I'd like to see a companion study about the effects on teachers. Math Teachers At Play #10 - The leading question in the latest edition of this blog carnival is one I've been thinking about myself: "What's a math teacher going to do with Wolfram|Alpha?" Teacher Burnout: 20 Insights From a 17-Year Veteran Teacher on the Brink of Burnout [from So You Want To Teach?] - Joel shares some advice on another topic that's been on my mind recently in response to this earlier post. Scientists Use Sudoku Logic to Improve DNA Sequencing [from Be Aware Math is Everywhere!] - This reminds me of the important scientific progress being made through the game Foldit, which uses human's superior problem solving skills to make breakthroughs at a pace even the most powerful computers can't keep up with. Stay Away From The Nigerian Tutoring Scam [from Consumerist] - If you're a teacher or college student looking for summer or part-time work as a tutor, especially on a site like Craigslist, be wary of scams like this one. If you're supicious, you can often type in a phrase or name from the post or email in question into Google with an additional term like scam, ripoff or fraud to see if there are any warnings out there already. As always, share your thoughts on these five links and any must-reads of your own in the comments.